Actor-director Nandita Das was in Cannes 2017 to promote her film Manto based on the life of the famous Urdu poet and playwright Saadat Hasan Manto. 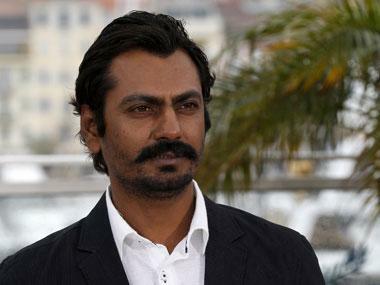 The film on the controversial writer stars Nawazuddin Siddiqui and Rasika Dugal in lead roles. Das, along with her film, garnered attention for the sheer Indian-appeal they presented in the French island. 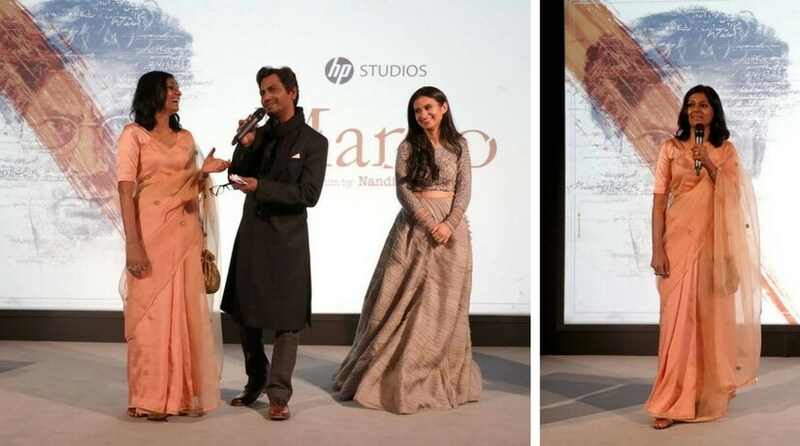 For the curtain raiser of her film, Manto, Das wore a golden-zari sari by Mumbai-based designer Anavila Misra for her look on day one. She paired the sari with ethnic jhumkas (danglers) and tied her hair in a bun. LOOK 2: For her next appearance, where she was accompanied with her actors - Siddiqui and Dugal - she chose a peach linen-silk sari which looked really pretty on her. 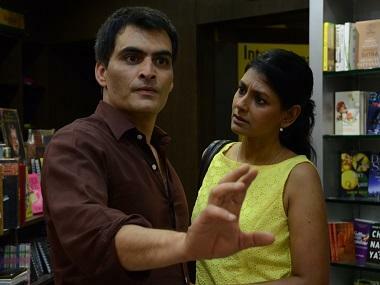 Nandita Das with the team. LOOK 3: In a Q&A session of her film, along with the actors and producers, she put on a black and grey linen sari by Anvila. The sari was a great choice for a day event in a closed space and more of a formal touch. Apart from saris, she also donned beautiful Indian fabric hand-woven salwar-kameez. One of them was this kameez from Sartorial by Swati Garodia which had an off-white kameez with kashmir-stitch embroidery patchwork. She embellished the look with a black brocade scarf with shells at the corners. LOOK 5: In the broad day light, Das went casual with her tunic-kurta choice as well which seemed to work really well. That dress seemed to be a breath of fresh air amid all the gown-glamour at the festival. It was an Anvila ebony-linen kurta which she teamed up with a jamdani-linen stole. In one of her day avatars, during the press meet with her actors for the film, she again chose to wear hand-woven black and gray palazzo. She paired it with a wine-red tunic and that was a spot-on choice. The look was designed by Paromita Banerjee. Nandita Das has always been known for her simplistic style statements and this year at the 70th Cannes Film Festival she did not prove the notion wrong.